One of the natural wonders of Jeju island. The 2012 Korea GNSS Society (KGS) Conference, previously known as the GNSS Workshop, will be held on November 8 and 9 at Phoenix Island resort on Jeju, Korea. The general chair is Philho Peter Park, Korea Astronomy and Space Science Institute. 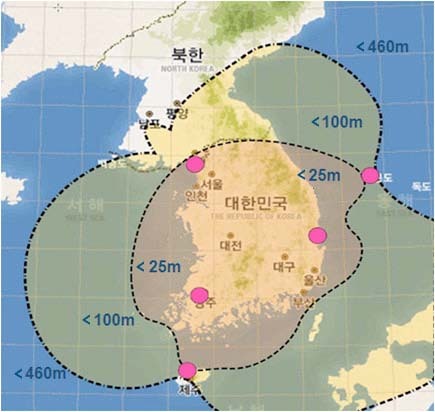 The event has been held since 1994, when Korea’s GPS Technology Council (now GNSS) was established. While the English language website has some information on deadlines and conference history, information on papers and registration is available in Korean only. The event is hosted by the Korea GNSS Society.